Microsoft’s Xbox One turns four this year. Before the year is out, the company plans to provide its aging console with a beefier, more capable sibling: Project Scorpio. It’s been about a year since news of the company’s plans to breathe new life into the brand leaked, but Xbox chief Phil Spencer traces Scorpio’s roots back to 2014, shortly after he stepped up from head of Microsoft Studios to become head of Xbox. How the plans for the console we know as Scorpio came together, and what it means for game developers going forward, is what we tried to figure out during that visit. While Microsoft is being very careful about how it metes out details about Scorpio (the console’s name and price were not discussed), Gamasutra was shown the Scorpio dev kit and sat down to chat with some of the folks involved with its design. For developers, Scorpio -- and its cousin across the aisle, Sony’s PlayStation 4 Pro -- present familiar opportunities and challenges. By expanding “the Xbox One family of devices,” as Microsoft representatives are fond of saying, the company has significantly blurred the line between being a PC game developer and a console game developer. The limits and comforts of having a single device to target are gone; in their place, developers who make games for Xbox must now think like PC game devs, building their games to scale across at least two significantly different hardware configurations. "You can just write to the original set of [Xbox One] requirements that we have today, and then we'll do the work to make sure that it actually runs better. But [developers] don't have to do any custom work for Scorpio." This is not a new challenge, of course; Sony beat Microsoft to the punch by releasing its own supercharged PlayStation 4, the PlayStation 4 Pro, late last year -- along with a mandate to devs that all PS4 games launching after the Pro be capable of supporting its beefier specs in some fashion. When we spoke to PS4 system architect Mark Cerny last year about the Pro, he said Sony was also having “conversations” with devs about patching their extant games to support the Pro. Some games were patched, but many had compatibility issues with the Pro; Sony eventually patched a “Boost Mode” into the console this year that sees some games gaining increased performance on the Pro, even if they don’t officially support the beefier console. All of this is important because Microsoft is making a show of avoiding the compatibility problem entirely. 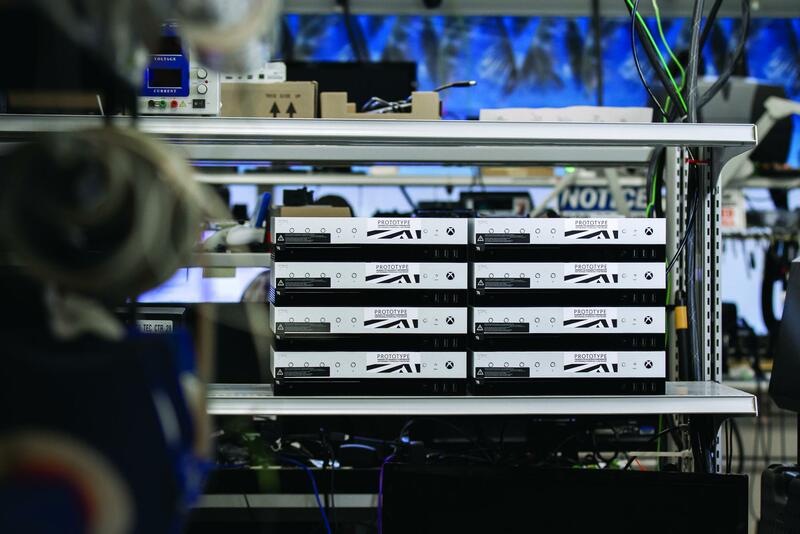 The pitch to game developers, according to Xbox software engineering exec Kareem Choudhry, is that you don’t have to do anything to your existing or future Xbox One games to get them running better on Scorpio -- they just will. Microsoft’s pitch to developers, then, is that Scorpio is to Xbox One as a recommended PC system spec is to a minimum PC system spec; the components are more powerful, but the underlying platform is the same. The same goes for the new Project Scorpio dev kit, which Microsoft says is basically an Xbox One dev kit upgraded to benefit from a couple years’ worth of technological progress and developer feedback. It differs from the Scorpio console that will appear on store shelves in a few key ways, but in order to dig into them we should first talk about the retail Scorpio specs. As publicized last week, the console currently known as Scorpio will sport a new custom eight-core CPU clocked at 2.3 Ghz. Kevin Gammill, Microsoft’s group program manager for Xbox Core Platform, claims that’s a 31 percent improvement over the Xbox One S, and that the CPU itself works more efficiently with the console’s GPU. The GPU in question sports 40 customized compute units at 1172 Mhz, but the Scorpio dev kits will actually ship with a bit more power -- 44 CUs, rather than 40. What’s more interesting about the Scorpio console is that, according to Microsoft, it’s designed to incorporate basic, oft-used DirectX12 draw calls into the GPU command processor itself, potentially freeing up some processing power for devs. "You learn a lot when you put something out there, you can iterate on it, and this is the result of our learnings." Gammill estimates this can lead to situations where hundreds of specific API calls can be cut down to 10-15, potentially giving developers a bit of extra efficiency to play with. In terms of memory, gone is the Xbox One’s combo of ESRAM and 8 GB of DDR3 RAM. It’s been replaced with a flat slab of DDR5 RAM, 12 GB in total. According to Gammill, developers can expect to get 8 GB of that for their game itself, and that the ESRAM was axed in response to devs’ requests. Scorpio’s chief talking-point is 4K resolution: Spencer says Microsoft is trying a mid-generation console refresh because it wagered the Next Big Thing in television technology, 4K displays, would be adopted widely enough to justify building towards in the middle of the Xbox One’s lifespan, rather than at the end. But there’s also support for another bit of novel display tech built into Scorpio: variable refresh rate. The idea is that televisions will in the near future be widely capable of dynamically changing their refresh rate to render frames onscreen the moment they’re rendered by the GPU, cutting down on screen tearing and other graphical corruption. If this sounds familiar, it’s because some PC monitors are already capable of doing this via GPU technologies like AMD’s FreeSync and Nvidia’s G-Sync. Gammill says that Scorpio will support variable refresh rate (which is part of the not-yet-ratified HDMI 2.1 spec) and work with FreeSync monitors; moreover, that Microsoft is working with TV manufacturers to try and ensure Scorpio will support the feature in as many TVs as possible. What this means for devs, as noted earlier, is that you basically need to be developing Xbox One games with an expectation that some people will be playing them on beefier hardware attached to 4K screens. However, as previously reported, Microsoft is not currently cool with developers targeting Scorpio exclusively; your Xbox One games need to run well across all Xbox One consoles, and that means that you still need to worry about, say, ESRAM and hitting decent framerates on the vanilla One if you want to bring your game to Xbox. Also, we should point out that Scorpio will also be capable of being converted into a dev kit, just like the Xbox One and One S. It won’t be as powerful as a Scorpio dev kit straight from Microsoft, but it will be more powerful than an Xbox One converted into a dev kit. However, Microsoft plans to continue what Choudhry calls its “tiered approach” to sending dev kits out to developers: basically, you have to be either a first-party studio, or a partner dev (via either Microsoft’s third-party program or its [email protected] indie dev initiative) to get a Scorpio dev kit. So let’s talk in-depth about the kit. According to Microsoft, Scorpio dev kits will be shipping out to some developers in the next few weeks, can be toggled to replicate Xbox One, One S, or Scorpio, and incorporates a host of devs’ requested changes. A render of the dev kit with the front display showing build performance data. When asked how long it would be before a dev got Doom running on the display, Microsoft representatives declined to speculate. For starters, the kit sports a real-time clock and battery backup, as well as an OLED screen w/ navigation button on the front of the box and five programmable buttons. This seems like a small but meaningful quality-of-life improvement for devs: if you’re working with Scorpio dev kits, you should be able to set them up to display useful data like, says, frames per second, at a glance. The dev kit has exactly the same ports (down to an HDMI IN jack) as the retail Scorpio, as well as an additional three front-facing USB ports and an extra NIC (network interface card) for transmitting debug information while running a multiplayer game. It’s also more powerful than the retail console: 44 CUs on the GPU instead of 40, 24 GB of DDR5 RAM (double retail’s 12 GB), and a 1 TB solid-state drive in addition to the retail console’s 1 TB hard drive. Microsoft’s pitch to devs is consistent here: build your games big (4K native textures, etc.) and tune them down to run on the Scorpio and other Xbox One consoles. The company also wants to make a show of listening to developers’ feedback about a key game dev gremlin: iteration time. To that end, it’s promising that Scorpio dev kits will be basically “hands-free” in terms of setup: you unbox ‘em, hook them up to power and Internet, boot them up and basically just walk away as they automatically configure themselves and download updates. Microsoft is also packaging a new high-speed transfer cable in with Scorpio dev kits that Gammill claims can push 100 GB of data in about 4 minutes. "It takes a hell of a long time to transfer a full build to a kit," Mike Rayner, technical director at Microsoft's Gears of War 4 developer The Coalition, told Gamasutra. He claims the new transfer cable is a significant time-saver for the studio, as they can now push a build for testing "6 to 7 times" faster. "Something that would have taken 30-45 minutes now takes a couple of minutes," he added. "So that's pretty huge for us." Incidentally, the new cable isn't limited to Scorpio dev kits; Rayner says the "low-cost device" works with Xbox One and Xbox One S as well, and should help developers across the board cut down their iteration speed. "We spent a ton of effort on reducing iteration time for developers"
What can you expect when it comes time to get your current games up and running on Scorpio? The answer seems to vary a bit, even within Microsoft. Two separate developers at The Coalition and Turn 10 Studios each said, independently, that it took one person two days to get their latest Xbox One game up and running in 4K on Scorpio. However, Xbox ATG chief Jason Ronald says it’s taken some folks less than a day of work. “One of the things that's been really encouraging to us is, most people who are used to doing hardware bring-up, usually its a couple weeks to get games just physically running on it, let alone at performance. 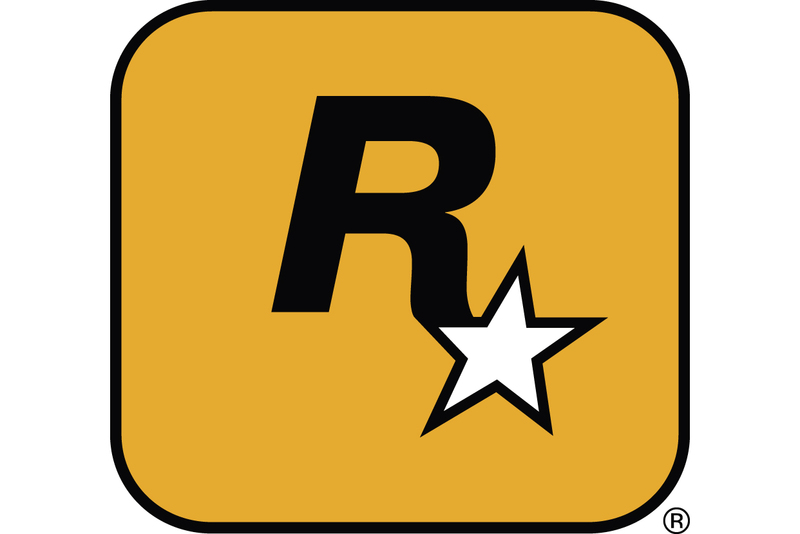 What we've seen with some of the middleware partners, the first-party and third-party partners, people have actually been able to come in, get their game running, and running at 4K, in less than a day,” said Ronald. This kind of confidence was on display within Microsoft during our entire visit; whether it’s well-founded or not remains to be seen. Microsoft’s pitch for Scorpio is in many ways a vision of triumph delayed: it wants developers to view the high-end Xbox debuting later this year as the place where console games look and play their best. So what does that mean for Microsoft? Given that some of the most successful console games this year (Zelda: Breath of the Wild) and this generation (Minecraft, which Microsoft now owns) aren’t technical powerhouses, it seems like the company’s future is yoked more to the games it can bring to its platform than how beefy a box it can build to run them. 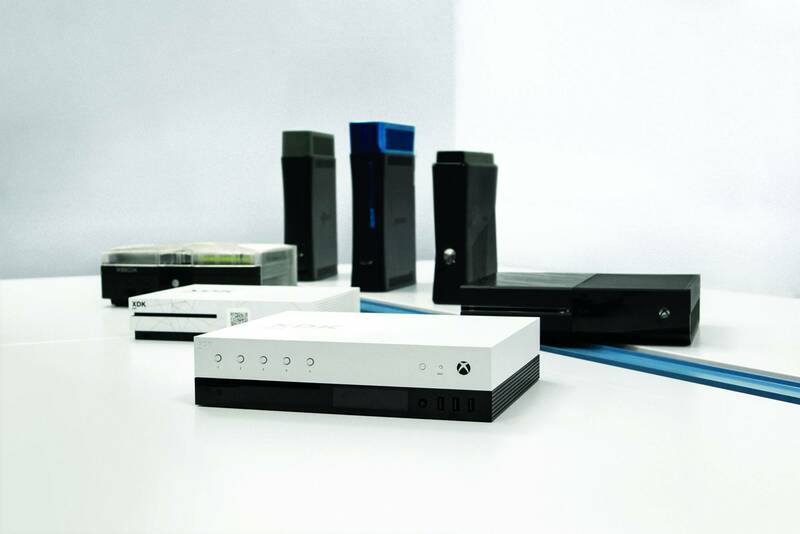 But the company appears to be betting that a supercharged mid-generation Xbox upgrade that’s capable of running even older Xbox One games (including Xbox 360 back-compatible games) with improved performance will draw more players to the platform, even as the console’s beefier specs and improved dev kit make it easier for multi-platform devs to port their games to Scorpio. One big takeaway here is that Microsoft is looking to basically standardize and simplify the hardware upgrade cycle that drives the PC game market. Late last year, Sony made it clear that its mid-cycle PS4 refresh wasn't meant to compete with Xbox; it was made to compete with the PC. Project Scorpio has a similar mission: to keep Xbox competitive with PC by affording Xbox an upgrade path that's simple and centered around the TV. And even as the console game development business continues to inch ever closer to the PC game development business (live games, modified PC components, regular hardware refresh cycles) Microsoft says it’s not thinking about backing out of the game console business anytime soon.